According to online research firm Glassdoor listed the top 10 best tech companies for sales people based on their salary perks. SAP: SAP pays include: SAP pays $235,000 Median Total Pay: $235,000 Median Base Salary: $110,000 Median Commission: $100,000. There is a chance of getting an above average pay for all sales roles. CISCO systems: CISCO systems pays include: $211,000 Median Total Pay: $211,000 Median Base Salary: $930,00 Median Commission: $100,000. 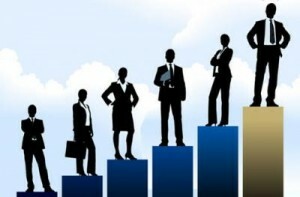 If you are a senior sales person you can earn more money in Cisco systems. CA Technologies: $210,000 Median Total Pay: $210,000 Median Base Salary: $110,000 Median Commission: $100,000. Sales people get competitive salaries along with good bonus structure, excellent opportunities to win additional perks like trips or cash based on performance. EMC: EMC pays include: $200,000 Median Total Pay: $200,000 Median Base Salary: $100,000 Median Commission: $100,000. EMC offers great pays for the people who are track driven performers. Symantec: Symantec pays include: $197,500 Median Total Pay: $197,500 Median Base Salary: $102,500 Median Commission: $76,250. Here product development and innovation is major criteria, company offer great benefits, competitive pay and challenging work. Microsoft: Microsoft pays include: $191,000 Median Total Pay: $191,000 Median Base Salary: $118,000 Median Commission: $50,000. Microsoft offers great perks and benefits with flexible work environment and great pay benefits. Salesforce: Salesforce pays include: $173,500 Median Total Pay: $173,500 Median Base Salary: $90,000 Median Commission: $68,000.Great perks and benefits with career opportunities. Adobe: Adobe pays include: $162,500 Median Total Pay: $162,500 Median Base Salary: $90,000 Median Commission: $50,000. Adobe pays great benefits to the sales people. Avaya: Avaya pays include: $160,000 Median Total Pay: $160,000 Median Base Salary: $95,000 Median Commission: $60,000. Avaya offers minimal micromanagement, opportunities to relocate and experiment with fun working environment. IBM: IBM pays include $150,000 Median Total Pay: $150,000 Median Base Salary: $100,000 Median Commission: $45,000.IBM offers great salaries, lot of benefits, great training and incentives.